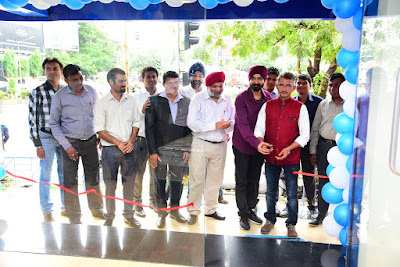 Mr. Angad Singh, Business Head, Mr. Kanik Singh, Business Head, Mr. Raju Madan, Director at Fairgrowth Sales Pvt Ltd and Mr.Sanjay Agine, Zonal Manager, Peps Industries Pvt Ltd at the launch of its 6th exclusive showroom – Great Sleep Store at Juhu in Mumbai. 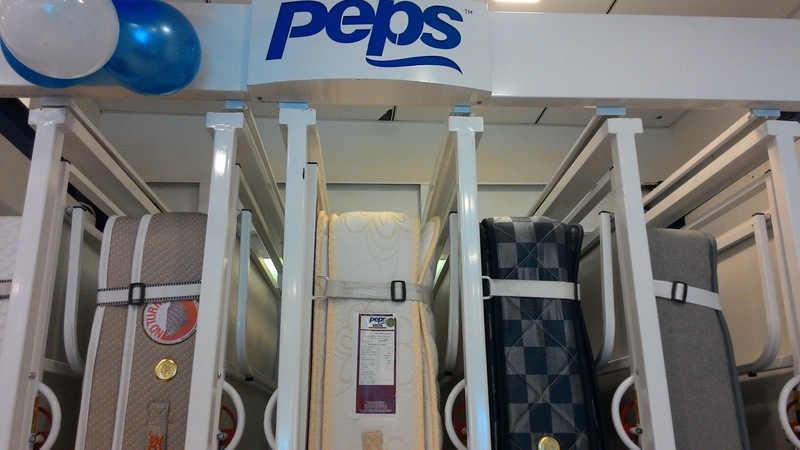 Peps mattress pe likha hain chainse sonewalonka naam "
Peps Industries, India’s top selling spring mattress manufacturing company marked the launch of its 6thexclusive showroom -- Great Sleep Store (GSS) -- in Mumbai. The event was inaugurated by Mr. Shankar Ram, Joint MD, Peps Industries. 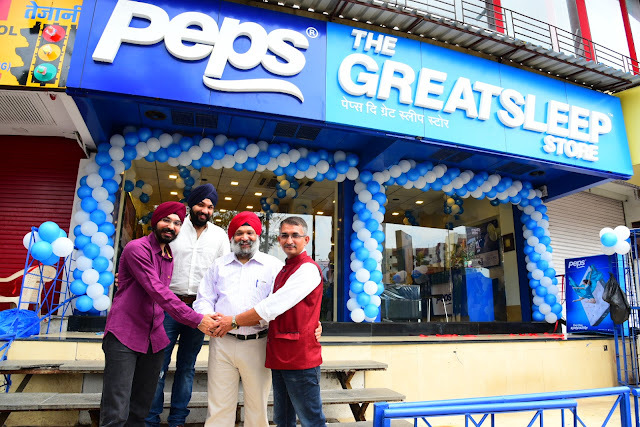 With this store, Peps now has its presence across the country with 125 GSS across the country. 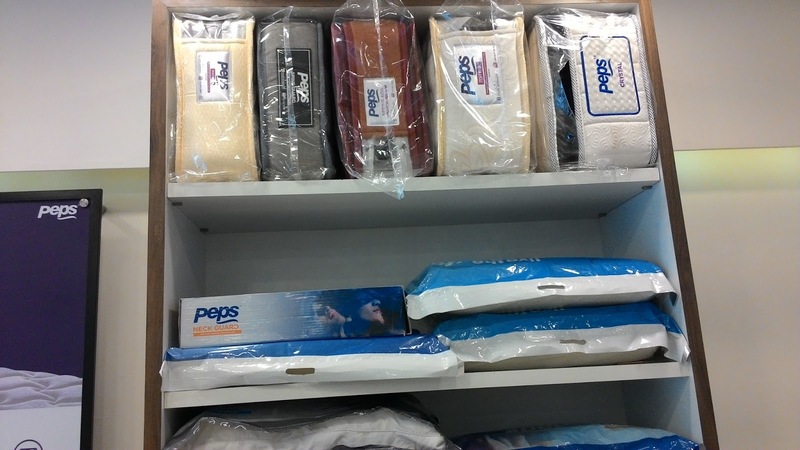 Peps has a pan-India representation with their manufacturing units in Northern, Eastern& Western India also. The products are delivered with care to exceed the customer expectations. The manufacturing facility is built in an 11-acre industrial campus in Coimbatore. It is managed by industry experts with over four decades of manufacturing expertise. The Peps sleep solutions also meet the benchmark defined by Restonic Corporation, USA for its Restonic range of products. The technology is patented and unique. Some of the features of the products includes: Marvelous Middle – the unique construction to support one-third of the body’s weight helps reduce the back strain significantly. 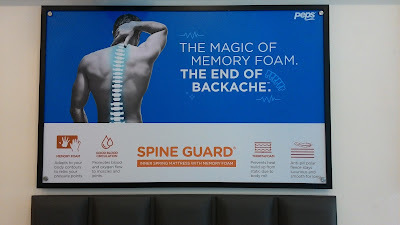 Spine guard India’s first Inner spring mattress with Visco Elastic foam positioned as End –of – Backache.